An app that does what it says with a great interface and good value. It shows your top consumers of energy (in both background and foreground), so you understand how keeping an application running will impact your battery and this will come in handy if you're a developer perfecting an app. It also tells you when you last recharged your phone and how much energy you consumed from reaching a full charge to whatever charge level you are at now. It shows lots of statistics that are important like estimated usage time left or estimated idle time. The app doesn't have any sort of power management because the N9 has a Power Saving mode that you can adjust to start when batteries reach a certain level 40% or less and it also shows estimated talk and idle time too with no 3rd part apps . 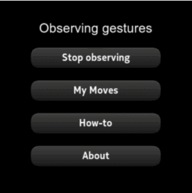 Third: Use haptic feedback, its there for a reason! 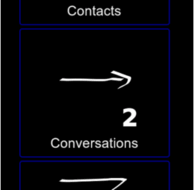 Most of N9 users know how awesome those vibrating feedbacks are, and it would be nice if the 2 fingers gestures vibrated twice (lightly) and the 3 finger Gestures vibrated thrice, it would certainly be a good indicator if the gesture worked or not (I some time don't know if it worked so i repeat and two web apps launch it's annoying.. 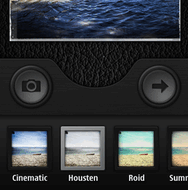 This app lets you quickly and easily give photos a dramatic look by converting them to black and white, while keeping your chosen details in color. This effect draws the viewer's attention to the colored areas, creating striking images. With its intuitive and responsive user interface, RainbowBrush is super easy and fun to use. You simply use your finger as a brush to remove or bring back the original color from regions of your image. Image zooming will help you to work on fine details. Kill zombies in the most horrific way you think of, enjoy various game play modes and great graphics and sounds. This is how the developers described it. "Draw Slasher " is a survival action game in which you take control of a cute ninja fighting against Pirate Monkey Zombies. These monsters invade your peaceful island, and you are the only one, who can stop them! Slash through your enemies in style known from countless Japanese anime, and movies!" The game has many levels that you'll never finish so that's good news if you ever get stuck somewhere. 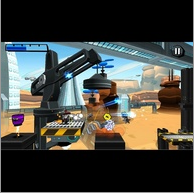 2-Roboto($$$):So Gravity guy is a great game that miniclip ALSO ported to the N9. It has the vote up vote down (like buttons) it shows videos tags and searches for it . The UI is stunning and adjustable too !!! It has a screen orientation lock setting !!! AND It introduces all these features in a non invasive way making it easily the greatest all around app ever made for Nokia. You can tweet @nabkawe if you want to ask any question about the list or if you see anything missing, leave a comment below. Excellent job mate, keep the enthusiasm up for as long as you can. The odds are very much against the N9 being a commercial success. It makes things just that little bit more possible. You know developers should build apps for the N9 , huge demand , small store with no alternatives ... any game will be a hit , any utility will be embraced. 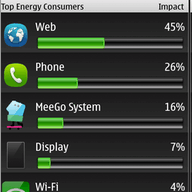 I've installed battery usage on my N9. I recieved a warning fronm the program that the average power consumption in idle state went from 22mA to 37mA. I already wasn't very impressed by the battery life of the N9. Have you heard from your readers or know something about this from your own experience what might cause this?